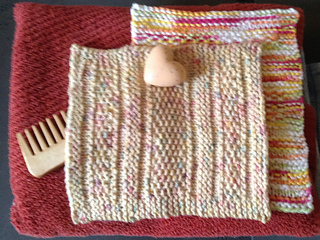 A dishcloth or washcloth may have a humble duty, but who says it needs to look it too! Her depth and texture are fun to knit and a pleasure to work with. 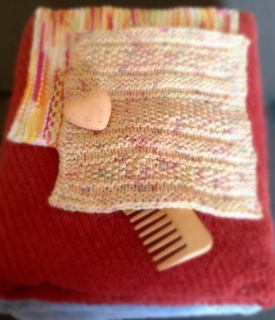 Alternating bands of garter, stockinette and seed stitch stave off boredom while staying simple for newer knitters. Thank you to my tester, Janetknitwitch and my tech editor, Joeli Kelly. 05jan2015-A minor errata was corrected in that an overzealous Find/Replace function changed the Knit in my logo and in my tester’s username to k. There were no changes necessary to the pattern instructions.